Home » Expired Contests » Enter to Win Red Sparrow on Bluray! 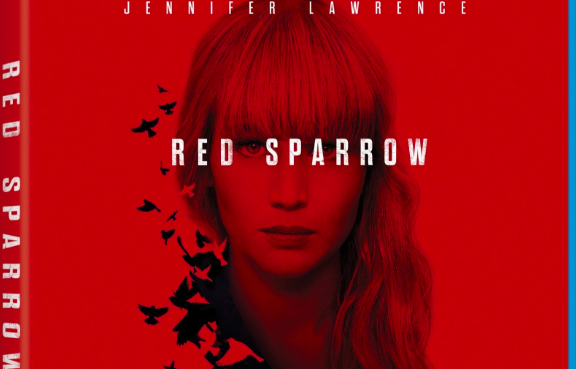 Enter to Win Red Sparrow on Bluray! Enter to Win the Riveting Spy Thriller Red Sparrow on Blu-ray, starring Academy Award ® Winner Jennifer Lawrence! In this international spy thriller, Academy Award® Winner Jennifer Lawrence is Dominika, a former ballerina forced to enter Sparrow School, a secret government program that thrusts her into a treacherous espionage game between Russia and the CIA. She emerges trained as a lethal agent, but is trapped in a world she desperately wants to escape. A New Cold War: Origination and Adaptation, Agents Provocateurs: The Ensemble Cast, Tradecraft: Visual Authenticity, Heart of the Tempest: On Location, Welcome to Sparrow School: Ballet and Stunts, A Puzzle of Need: Post-Production, Director Commentary by Francis Lawrence, 10 Deleted Scenes (With Optional Commentary by Francis Lawrence), Movies Anywhere Digital Code. 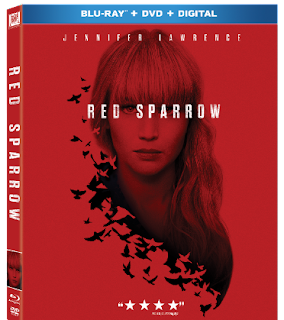 Red Sparrow releases on 4K Ultra HD™, Blu-ray™ and DVD May 22, 2018.